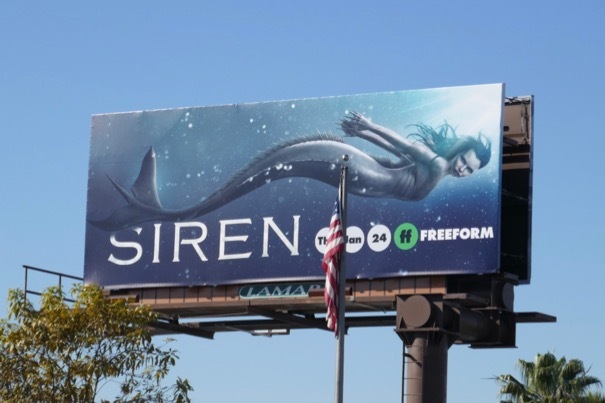 Fans of Freeform's mermaid sci-fi fantasy Siren will love seeing these sophomore season billboards swimming into L.A.'s New Year skies. 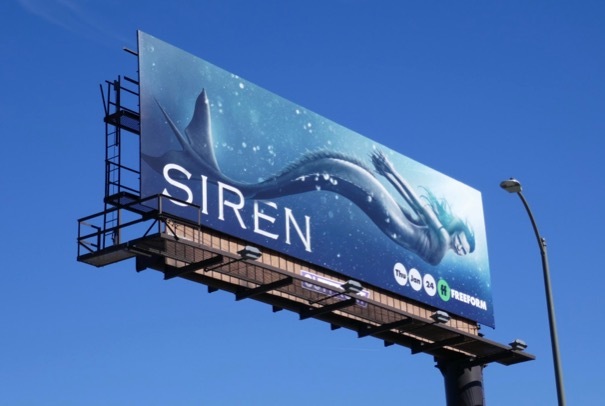 This time around Eline Powell's 'Ryn' isn't the only mermaid returning to the once-sleepy fishing town of Bristol Cove as she has company, but is that necessarily a good thing for the marine biologists and fisherfolk that live there? 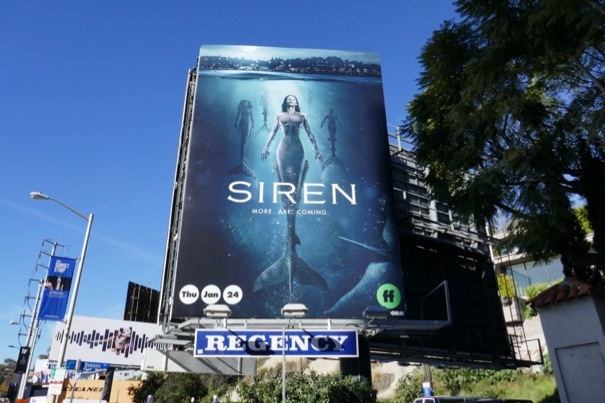 These season two billboards were snapped along the Sunset Strip, La Cienega Boulevard and Pico Boulevard on January 9, 2019. 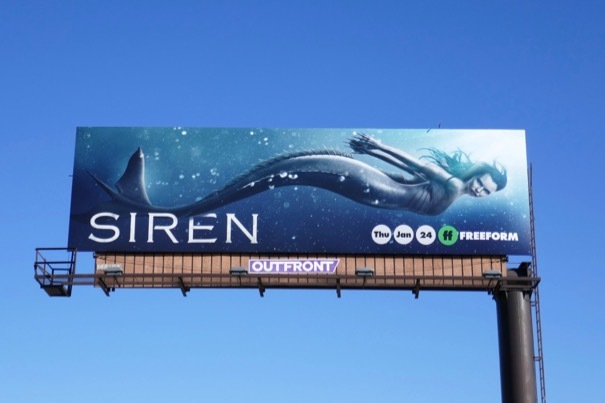 Fans of the Freeform show can also check out these Siren season one billboards from last March. 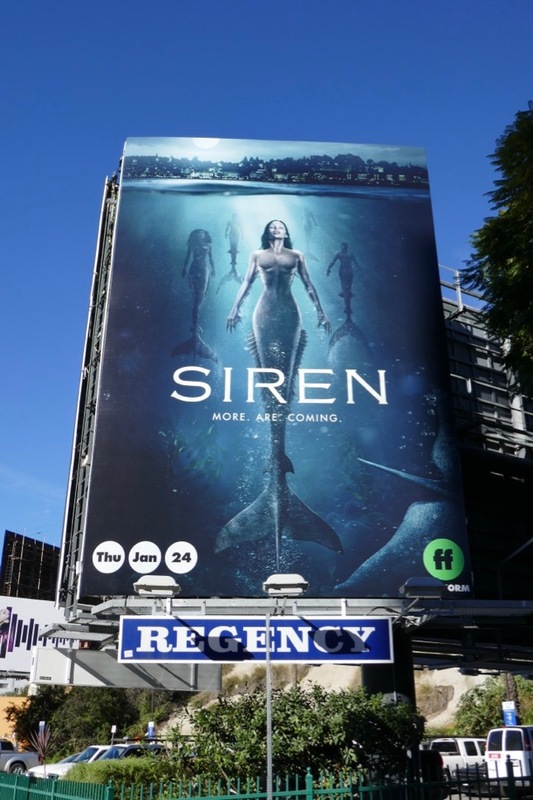 These mermaids tend to be a bit deadlier than Disney's 'Ariel', so let's see if their siren song can tempt existing and new viewers to take the plunge with all-new exciting episodes.